So, it’s official. 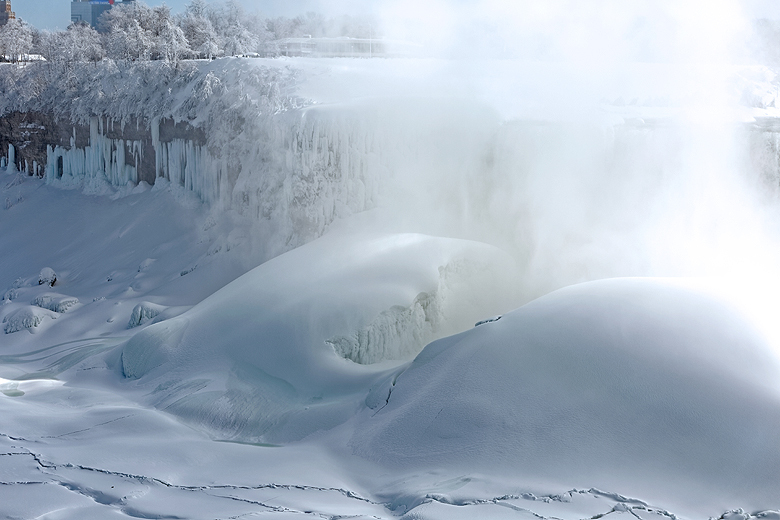 February 2015 was not only record-breakingly cold… it was the coldest month in Toronto in recorded history. I feel like we all deserve T-shirts to commemorate this, though it hardly seems worth celebrating. 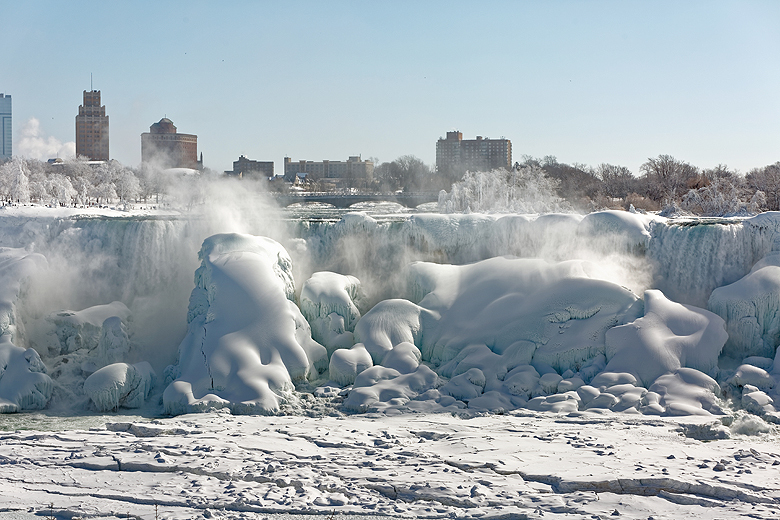 A few weekends ago it was actually minus 40, that strange zone where both Fahrenheit and Celsius will say the same thing, and you could actually watch the lake effect from my apartment. 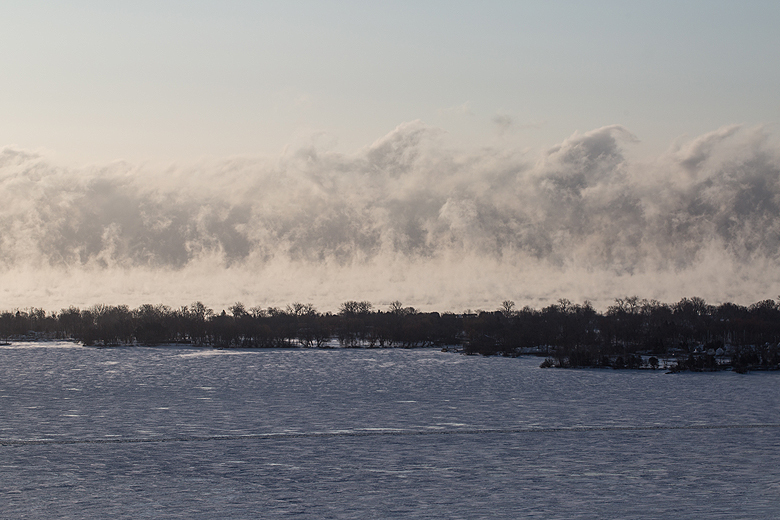 That stuff that looks like steam rising upwards? That’s snow, coming downwards over Rochester. Crazy, right? But of course, if you are a photographer then this is a completely different deal. 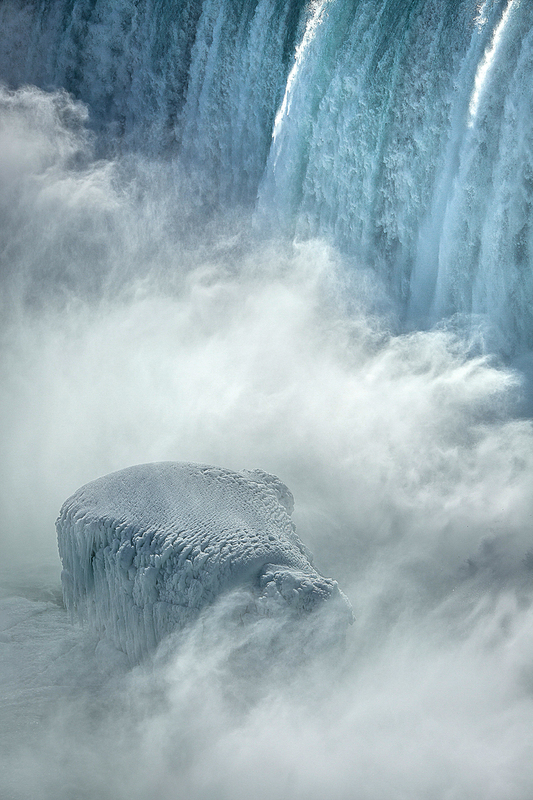 Last weekend Tito and I drove out to Niagara Falls in the morning (the emptiest I’ve ever seen it) and shot the incredible ice and snow formations that now lie at the bottom of the the waterfall with the highest flow rate in the world. Because, despite that volume, it was frozen. Both sides looked extraordinary, but I especially enjoyed the American side which had these giant ice boulders at the bottom. 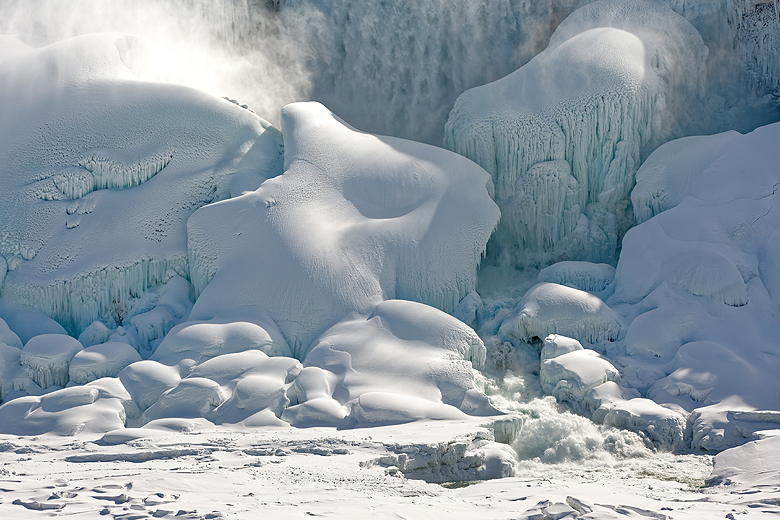 I also love that sculpted ice structure at the bottom of the horseshoe falls, looks like another world! However – funnily enough – we are expecting double digits above the 0 mark for the next 4 days. Anything above 0C here during the winter is like a summer holiday! 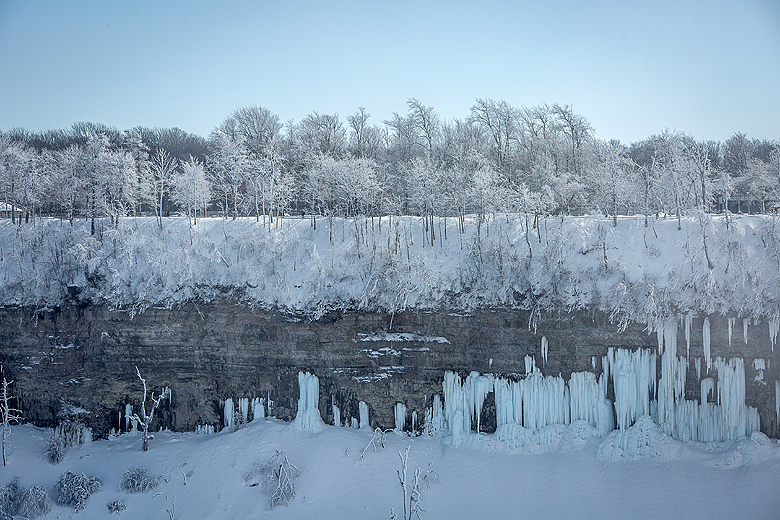 Loved your pic of the snow happening over Rochester btw. Your view from your place is a lot like what we see out here. We can see for miles and miles – wide open expanses of prairie and sometimes the right conditions will allow you to see the lights of Calgary from Olds – that’s 94.7 Km! amazing!! Utterly amazing shots, thanks. 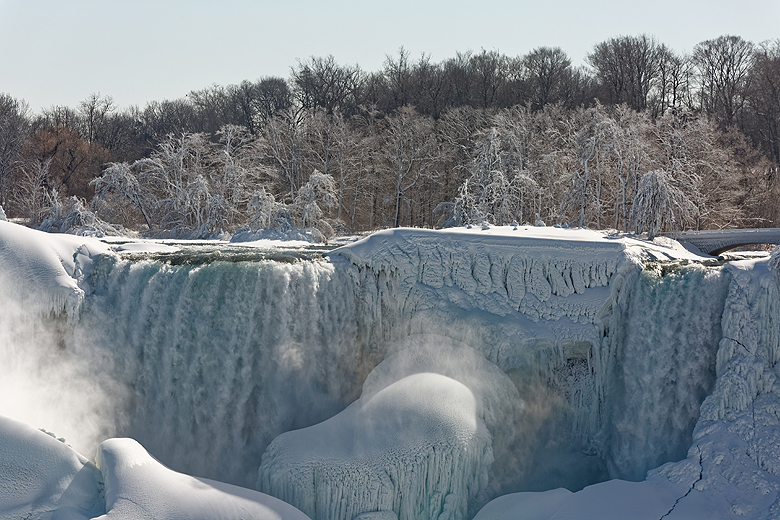 I cannot even imagine that sort of cold yet alone how you would live in it. Hope it soon gets back to more like normal for you all. By the way, I think you would want a little more than commemorative t shirt! More like an arctic fleece maybe :) ? Hoodies might be a better bet to commemorate that! 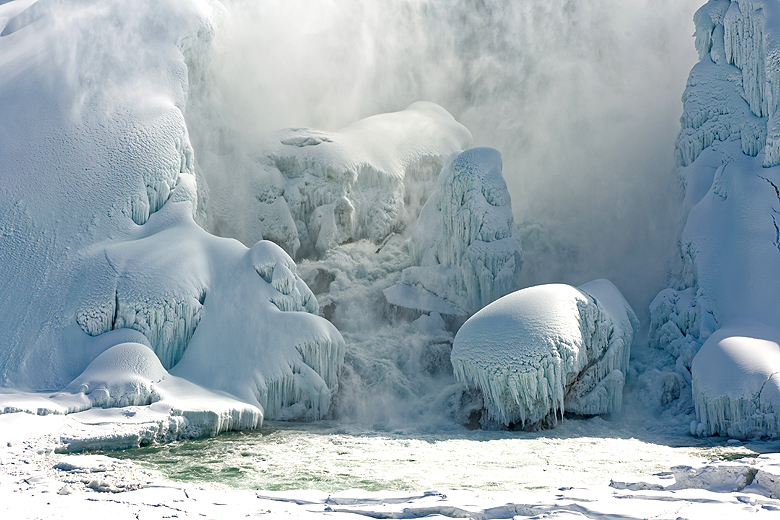 Niagara Falls is just so beautiful in the winter! Definitely a favorite of mine.